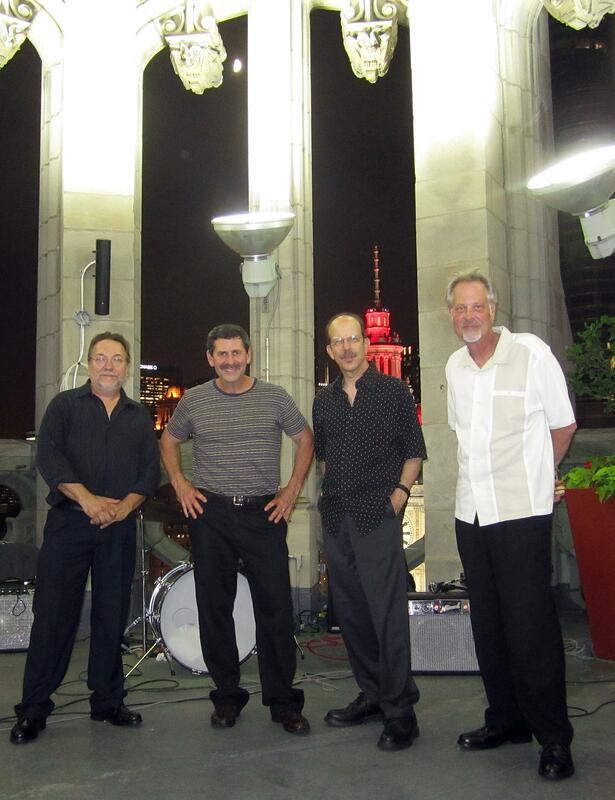 As individuals, the members of The Blue Coast Band have worked with many of Chicago’s greatest blues artists, going back to the vibrant Chicago Blues Scene of the 1970’s. The Blue Coast Band takes their traditional sensibilities of this music and puts their own spin in it. Years of working with blues greats as well as rock and rollers, gives them the freedom to intuitively mix it up.Their stamp on the music is one that is not over the top, but at the same time definitely not in a retro bag. It's an honest interpretation. Front man Mark Wydra is the band's guitarist and singer. Most often associated with Eddy Clearwater, Mark has been a first-call side man for band leaders in-the-know for over 30 years. He has also played with Junior Wells and Buddy Guy, Albert Collins, Bo Diddley, Sam Lay, Carey Bell, and numerous others. Mark is a prolific teacher, and maintains a roster of more than 50 students. Mark also recorded with Eddy, playing on records like Mean Case Of The Blues. 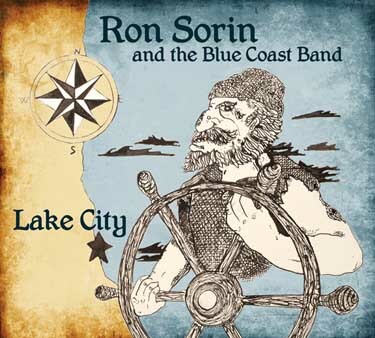 Born in Chicago, Ron Sorin caught the blues bug at an early age. Determined to hear the music played live, he grew a mustache and with a fake ID started going to Chicago blues clubs to listen to the likes of Muddy Waters, Howlin' Wolf, Big Walter, Junior Wells, and James Cotton. His first professional gig was with Big Moose Walker while still a teen, and he has been playing harp and weaving his way through the Chicago blues scene ever since. Ron has worked with numerous blues artists such as Johnny Littlejohn, Bo Diddley, Hubert Sumlin, Willie Kent, Pinetop Perkins, Gloria Hardiman and Dietra Farr to name just a few. Ron has also recorded with several Chicago blues men including Bob Stroger, James Wheeler, Ken Saydak, and Steve Freund. He was a founding member of the popular American roots band Big Shoulders who received crossover attention from their two CDs on Rounder Records. Ron has an individual style anchored in traditional blues but at times seamlessly straddles the line between straight blues and other roots influences. He has released his first solo CD "Lake City", with the majority of the songs self-penned. Harlan Terson has been a familiar figure on Chicago's musical landscape for more than thirty five years, recording and touring internationally with some of Chicago's great blues artists. He has played bass on more than thirty five recordings and jingles, two of which have been nominated for the Grammy award. Terson's steady "in the pocket" groove has kept him working on the competitive Chicago blues circuit, and taken him overseas as well. He recorded and toured with Lonnie Brooks from 1976-1982. He has also appeared and recorded with many other artists, including the legendary Otis Rush, Bo Diddley, Magic Slim, Albert Collins, Sunnyland Slim, Johnny Littlejohn, Eddy Clearwater, Jimmy Rogers, Kim Wilson, Duke Robillard, Eddie Shaw, Eddie "Cleanhead" Vinson, Big Mama Thornton, Jody Williams, Steve Freund, Tad Robinson, Dave Specter and the Bluebirds, Jimmy Johnson, Sharon Lewis, Bob Margolin, Willie Smith, Diunna Greenleaf, Mojo and The Bayou Gypsies, The Chicago Rhythm Review, The Blue Coast Band, and Chicago blues rockers, The Fabulous Fish Heads. He performed at the internationally famous Kingston Mines in Chicago for more than twenty years, and has been on the teaching staff at The Old Town School of Folk Music since 1999. He has recorded on the Alligator, Delmark, Evidence, Severn, and JSP labels. Check out the CD, Lake City here. Download Blue Coast Band Posters here.